In 2018 Liam was one of the Five Man team who won the BAFA National Plate in Manchester. That result effectively place them in 8th place in the UK rankings. 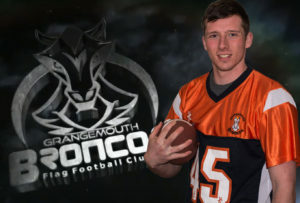 Liam joined the Broncos Cadet team in 2007. He played a year at Junior level before going off to do other things. 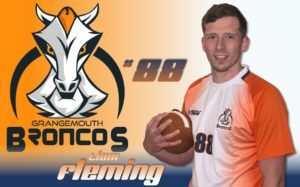 Liam rejoined the Broncos in 2014 at Senior level and has quickly moved up the Senior points scoring rankings into the top 10. In the 2017 Liam was our second top scorer with 111 points and also made the top ten in the HNC Offensive Player of the Year rankings. On Defence, Liam made the number three spot on the HNC Defensive Player of the Year ranks. No surprise then that he was the Broncos Defensive Player of the Year. 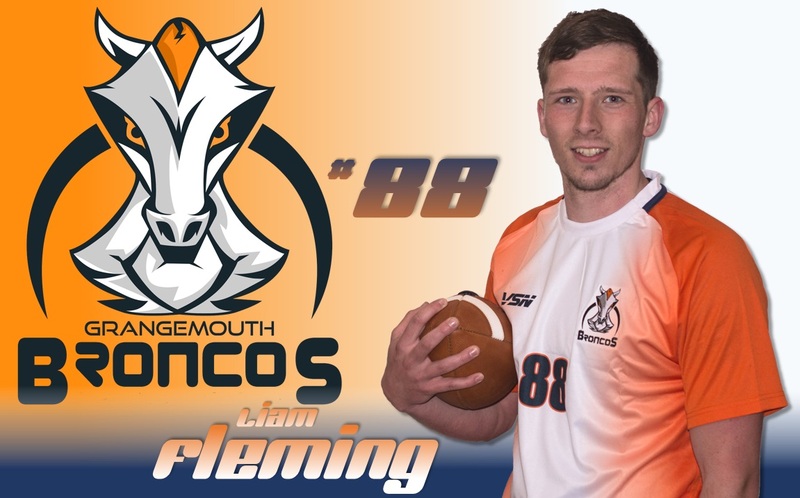 Another member of the Great Britain setup, Liam’s coverage skills and tendency to come down with the football have cemented his place as a vital part of the Silver squad. 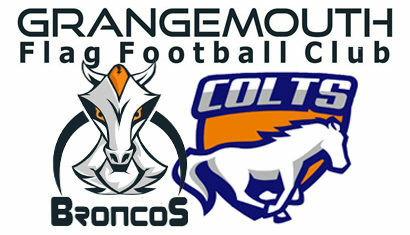 3rd in the 2008 BAFL Scottish Conference Junior League. 3rd Place at FlameBowl III Junior competition (2008).